Earlier we had reported that for the first time in the history of ‘Koffee With Karan’, Ranbir Kapoor and Ranveer Singh will be coming together. There have always been speculations about the equation that the duo share, courtesy a certain Deepika Padukone. 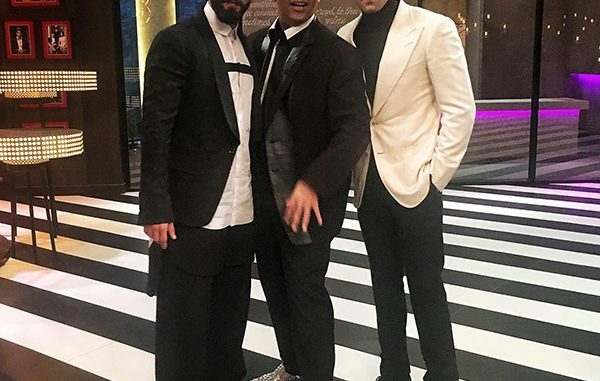 And now the two popular stars, Ranbir Kapoor and Ranveer Singh have already shot for the episode with Karan Johar. Looking suave and charming were the two hunks who also clicked several pictures that have made its way to the social media. While Ranveer added the required funkiness to his attire, Ranbir decided to stick to the suited avatar. Their appearance together has already added to the intrigue factor but airing details of the episode are yet to be known. Ranbir Kapoor was last seen in the recently released Ae Dil Hai Mushkil and is currently gearing up for the release of the much delayed film Jagga Jasoos, which incidentally is also co-produced by him. On the other hand, Ranveer will be next seen in Aditya Chopra’s bold rom-com Befikre and has already kick started the schedule for Sanjay Leela Bhansali’s magnum opus Padmavati also starring Deepika Padukone and Shahid Kapoor. Kid Icarus &amp; Friends 2017 Art Calendar Launch! Have You Ever Noticed That Every Girl Boss Wears This Same Thing?